Was able to get out and get a few moreChristmas/Holiday lights this time in Minneapolis by the Lake of the Isles area. It’s been a challenge as the snow has melted several times. The gallery Christmas Lights 2014. 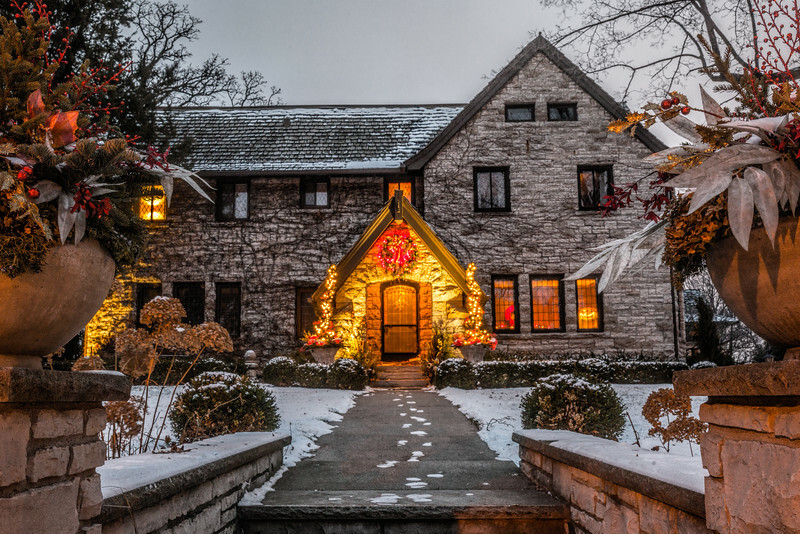 The Lake of the Isles area has many wonderfully decorated homes. 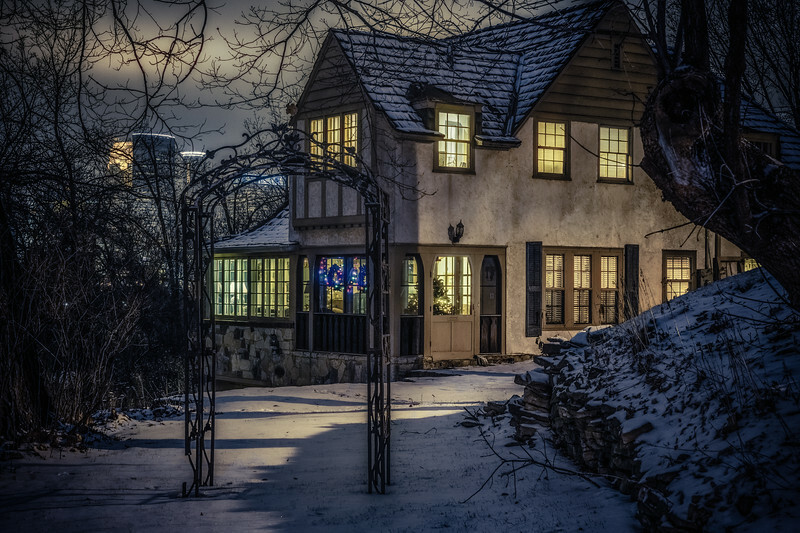 This next one I just loved the snow on the roof. It wasn’t real dark yet but the snow is the real star here. 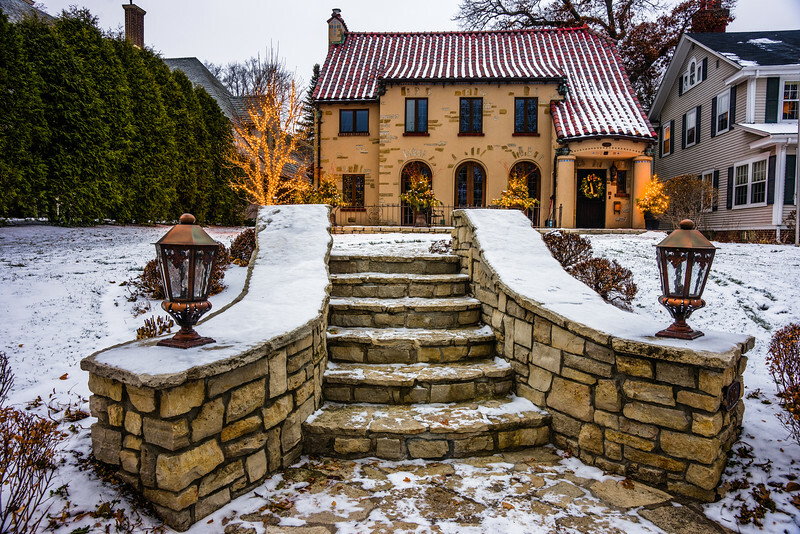 Not your typical looking Minneapolis home. Here was a nice find with this modestly decorated home with Minneapolis in the background. I like to make sure the snow in these types of photos looks white. Sometimes it might look blue or even purple at night depending on the lighting present. I play around with the white balance in Lightroom or even the Hue, Saturation and Luminance to get the snow to look white.